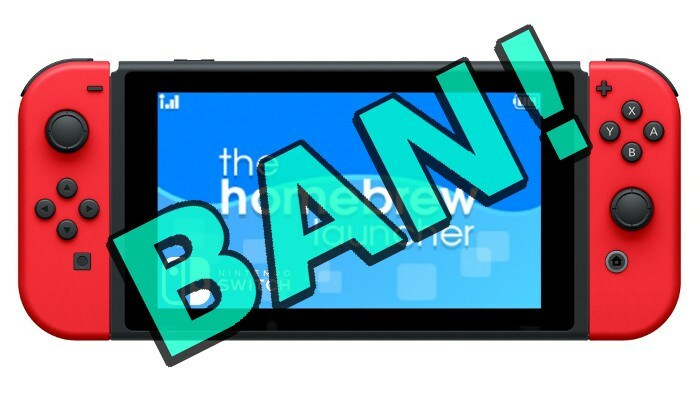 Nintendo Switch Ban, what's the cause and how to avoid it if hacking Switch? Installing NSPs and using them online is a near guaranteed way to get a ban. Also anything CDN related is also asking for a ban. Not using Atmosphere's CReport and sending crash logs (from LFS etc) to Ninty. Clearing your crash logs after they've been sent to Ninty. Write a New Comment on Nintendo Switch Ban, what's the cause and how to avoid it if hacking Switch?